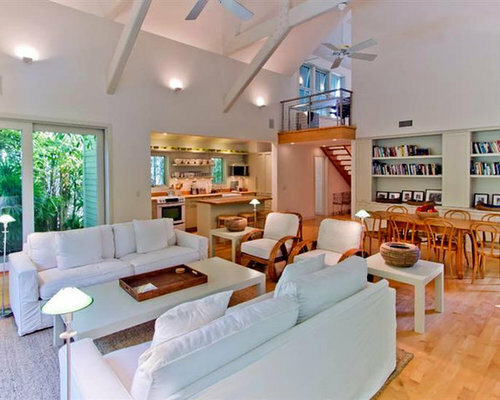 This newly constructed wood frame house is located on a quiet lane in the Old Town district of Key West. 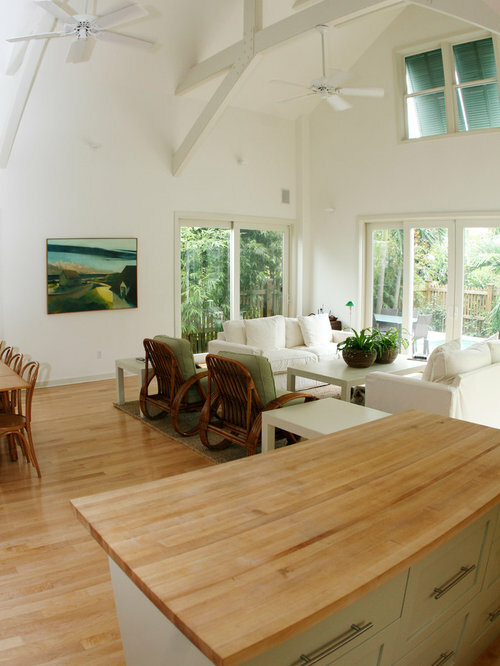 The exterior of the house was designed to respect the scale and materials of the neighboring cottages, while the interior is modern and loft-like in style. A large double-height great room with open kitchen is at the rear of the house overlooking a new swimming pool and whirlpool spa. A master bedroom suite is also on this level and two guest bedroom suites are on the upper level. 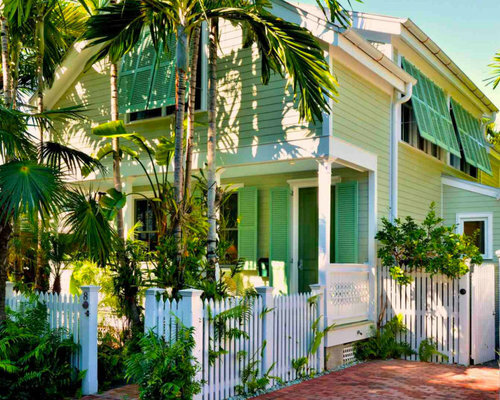 A view of the front facade of this newly constructed wood frame conch cottage. 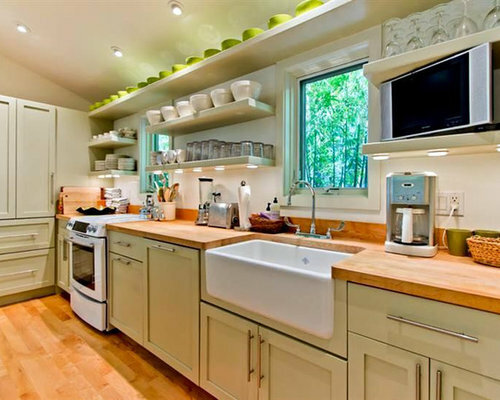 Materials include wood siding painted light green, wood windows and trim painted white, and wood louvered shutters painted aquamarine. The driveway is paved with old salvaged Chicago brick and enclosed with a traditional white wood picket fence. 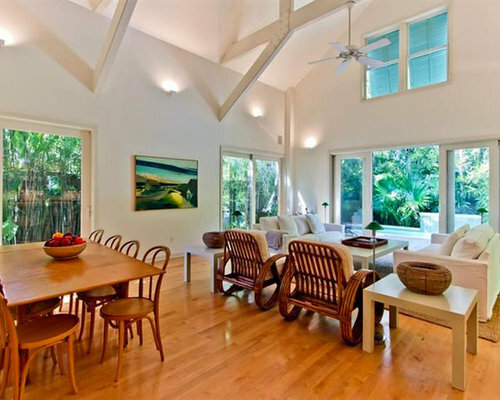 Double-height great room with exposed beams in tropical Key West. 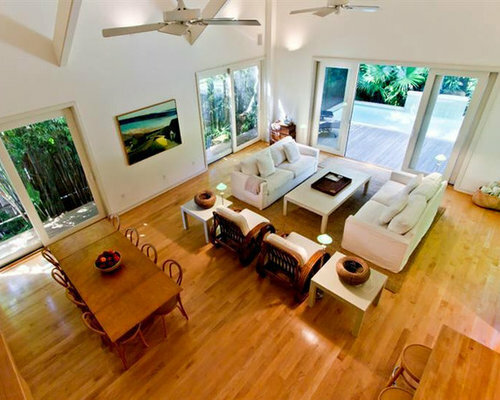 French doors open the living space to the rear swimming pool and spa terrace and to side yard gardens. 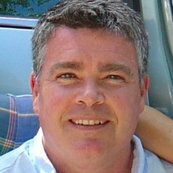 The wood flooring is natural maple. 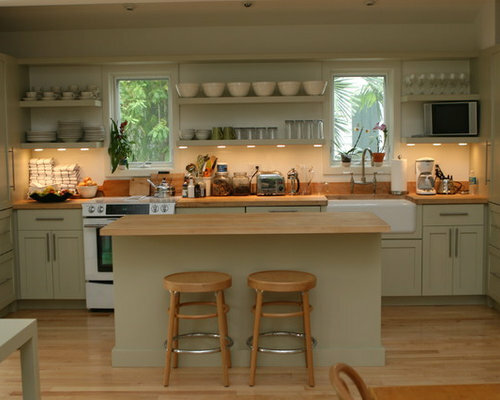 As well, the kitchen island countertop is butcherblock maple. A view from from the great room dining area towards the open kitchen. The upstairs stair hall balcony can be seen in the upper right hand corner. A view of the great room from the upper stair hall showing sliding french doors to the rear deck and swimming pool and to the side yards. The flooring is natural maple. A view of the great room towards the rearyard swimming pool and spa area. 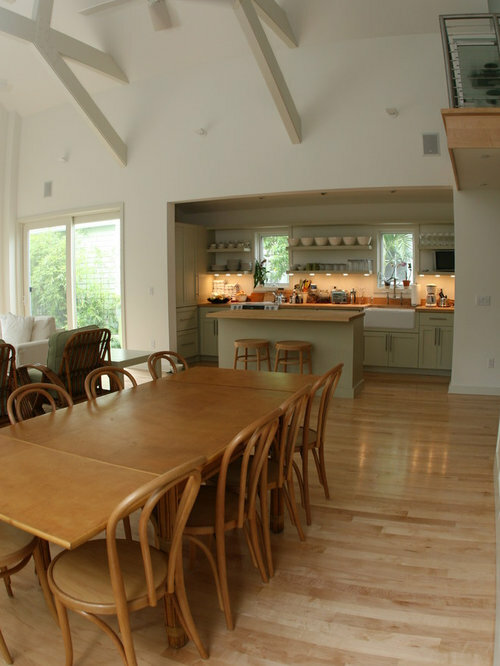 A view of the double-height great room towards the kitchen and entry stair hall. 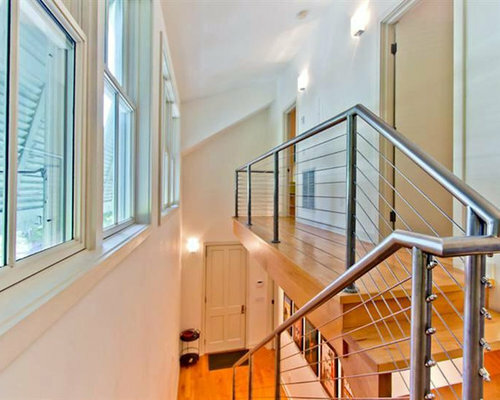 A view of the light-flooded double-height stair hall overlooking the downstairs entry area with custom stainless steel and cable handrail. The flooring is hardwood maple. A view from the upper stair hall balcony over the great room below. The rear wood decked terraces, swimming pool, and glass mosaic tile water feature can be seen through the open sliding french doors. 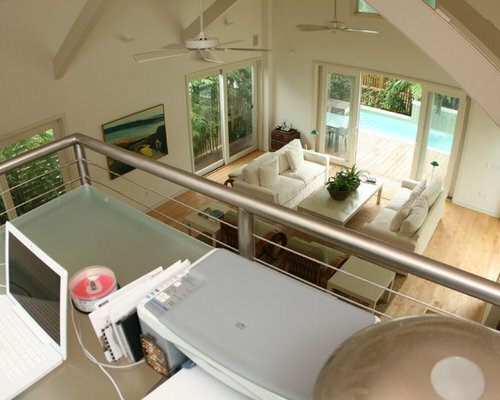 The custom balcony railing is made of stainless steel tubes and cable fittings. 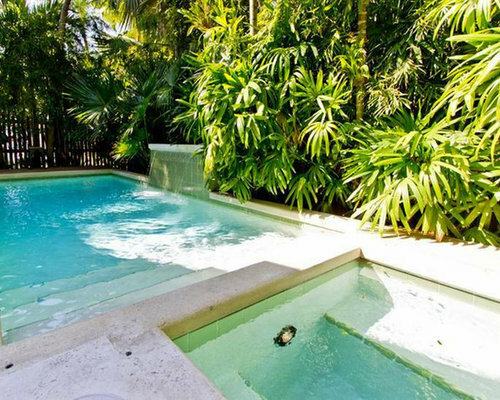 A view of the rear swimming pool, spa, and water feature, surrounded by lush tropical landscaping.